The vast majority recognizes the island of Mallorca as destination for sun and beach, but the truth is that Mallorca is much more than just sun and beaches. This territory bathed by the Mediterranean Sea has a large number of natural places to get lost in. It is an island where there are endless possibilities to be able to make nature tourism. It should be noted that this wonderful territory is not spectacular only at a landscape level, but also has a great scientific and historical value. If you are planning a trip to the Balearic Islands, in this article we will reveal the best natural parks on the island and guided tours of nature and natural landscapes. So, if you do not want to miss the best landscapes of Mallorca, pay attention to our favourite places on the island, we started! The Sierra de Tramuntana is a group of mountains declared a World Heritage Site by UNESCO in 2011. It is a mountain range located on the northern fringe of Palma de Mallorca and goes from Andratx to the Cape of Formentor. 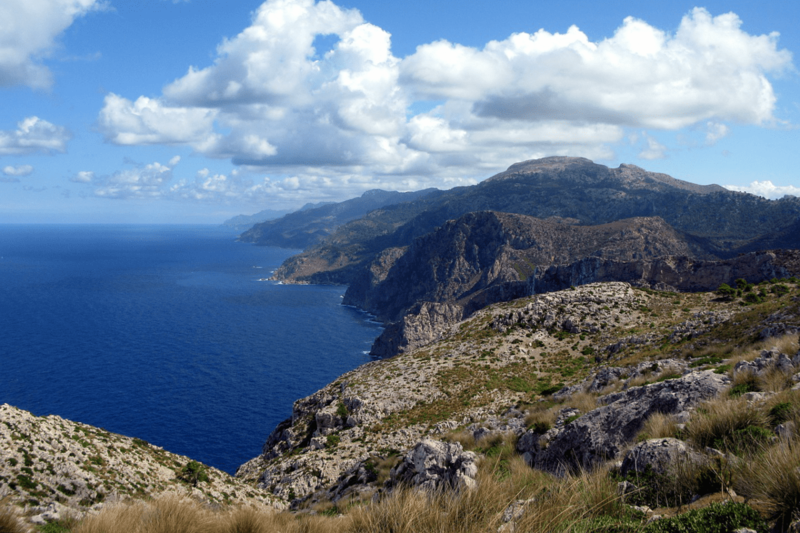 Unquestionably, this mountain range has one of the best viewpoints in Mallorca and apart from being able to enjoy its flora, fauna and all its sights, you can also do various activities such as hiking, climbing and horseback riding or cycling. Among these mountains there are a range of several villages such as Valldemosa, Deiá, Sóller, Pollença or Banyalbufar, villages that we recommend to visit and taste some dishes of their native cuisine. Throughout this island there are many caves and inland caves near the best beaches, many of them unknown and possibly never to be discovered. All these caves are part of the essence of the island but only some can be visited. Very close to Insotel Cala Mandia Resort & Spa, are located the Drach caves, the most famous on the island. In its inner lake there is a light show and live music that make it the most wonderful landscape of the Balearic Islands. Other caves you should visit are the Arta caves, located east of this beautiful island. They are the only ones that have their entrance by the sea and their imposing size makes them unique. Mallorca is an island full of nature and natural parks, so if what you are looking for are things to do near the beach of trenc, we recommend you visit one of these natural parks, where you can do outdoor activities so much in family as with friends. Sa Dragonera is a small island located southwest of the island of Mallorca along with the islands of Pantaleu and Mitjana, these three constitute the Natural Park of Sa Dragonera. The island of Sa Dragonera has boats that make several departures during the day so you can visit this part of the wonderful natural park. In addition, it is one of the easiest landscapes in Mallorca, as it can be enjoyed in its entirety in less than a day. This natural park is one of the most desired parks in Mallorca. It is located in the northern part of the island, specifically in the bay of Alcúdia. Its origins are remote and its state has changed both on the surface and in properties according to the variations in sea level. The natural park of Albufera is one of the most interesting landscapes of Mallorca to visit both as a couple, with friends or with the little ones. monuments that look out to sea and that has been declared a historical-artistic monument. The activities that can be done in this cathedral are diverse, we recommend a visit to the Museum of Mallorca Cathedral, enjoy the beautiful rose window and observe the magnificent composition of a pure Catalan Gothic architectural work. Last but not least, we suggest you visit the Bellver Castle, which is located three kilometres from the capital. In the same castle, guided visits are made so that visitors can discover all the stories that their massive walls hide. We hope that once in our Insotel Cala Mandia Resort & Spa you will enjoy the stay and discover all these natural Mallorca’s landscapes of the fantastic island of Mallorca. Don’t forget to walk through the different corners and areas of our hotel in Mallorca and discover our exclusive offers in Spa Mallorca for our clients, we are waiting for you!